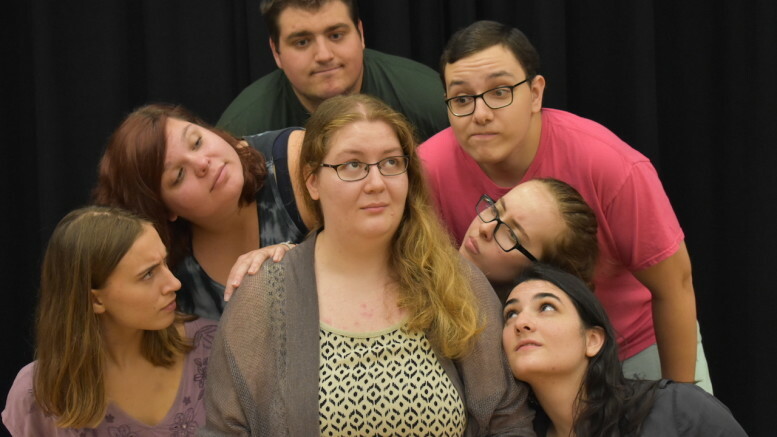 “Saints and Sisters,” a series of three one-act plays written by Gertrude Stein, opens tonight at McDaniel College. Performances through Oct. 6 in Alumni Hall begin at 7:30 p.m. Tickets are $7 for adults and $5 for senior citizens, students, military, and the McDaniel community. Theatre faculty member Richard Sautter serves as the director for the collection of works that blended a cast of students from all years as actors, technicians, and managers. With a combined interest and dedication to the production, all involved with the show agree that “Saints and Sisters” offers a unique perspective on the performing arts. Development of a production always involves a certain process the cast goes through, building on various ideas and finding what works best to be performed. The production process, which explores unconventional theatrical material, was reflected in the show. Despite the uniqueness of the “Saints and Sisters” collection, the dedication to the production process by all involved with the shows did not go unnoticed. “Everyone has been bringing their A-game to the production process,” Sautter said. In the midst of productions, the McDaniel College theatre department recently underwent changes, hiring two new adjunct professors: Max Doolittle, who works on lighting design, and Andrea Ball, who focuses on set design. With Doolittle and Ball only recently arriving on the Hill this semester, the two have dived right into the production process and their work remains promising. As the production process begins to finalize, the cast has stated that the production process has been much more than simply creating a show. Ultimately, with the show now in performance for audiences, looking back on the production process proved to be a chance to grow as a cast, all with a common goal.